The origins of this breed are a mystery, however physically they resemble cats found in ancient Egyptian hieroglyphs. 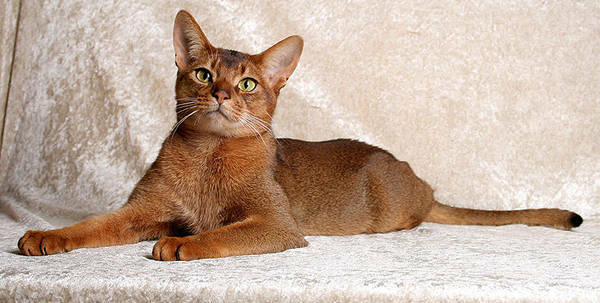 It is believed that the modern Abyssinian is a descendant of those cats. The two main breeds of cat native to that part of Africa are the Jungle Cat and the African Wildcat. 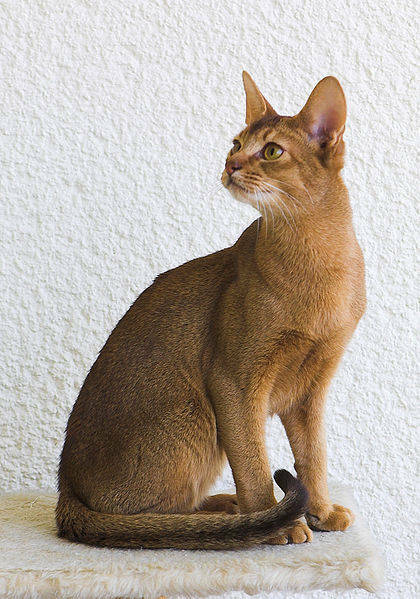 In appearance the Abyssinian has many physical traits associated with the Wildcat. Over the centuries feline blood from many different walks of life contributed to this breeds development. 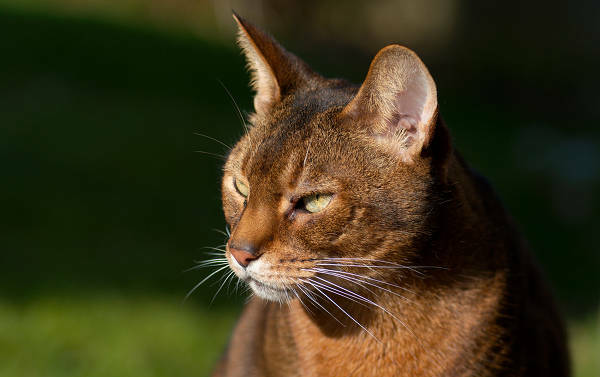 In fact, today’s Abyssinian breed was largely influenced by English breeders who brought the breed to the UK in the mid 19th century. Although everyone has a theory about where this lovely breed came from, no one knows for sure. The name Abyssinian doesn’t indicate that the breed originated in Abyssinia (which is now Ethiopia). The first ‘Abyssinian’ cats that were shown in England were said to have been imported from there. Abyssinian is an incredibly intelligent and inquisitive cat. They are interested in people and have very strong personalities. Today the breed can be found in a ridiculous amount of colors. This is obviously due to English breeding as primitive ruddy colors & striped patterns are dominant in cat genetics. After a few generations in the wild, they will always revert back to coloring that provides them camouflage. We’ve got more ancient cat breed profiles on the way. For now, why not learn more about the Egyptian Mau?